In its 1500-year history, the English language has seen dramatic grammatical changes. This book offers a comprehensive and reader-friendly account of the major developments, including changes in word order, the noun phrase and verb phrase, changing relations between clausal constituents and the development of new subordinate constructions. The book puts forward possible explanations for change, drawing on the existing and most recent literature, and with reference to the major theoretical models. The authors use corpus evidence to investigate language-internal and language-external motivations for change, including the impact of language contact. 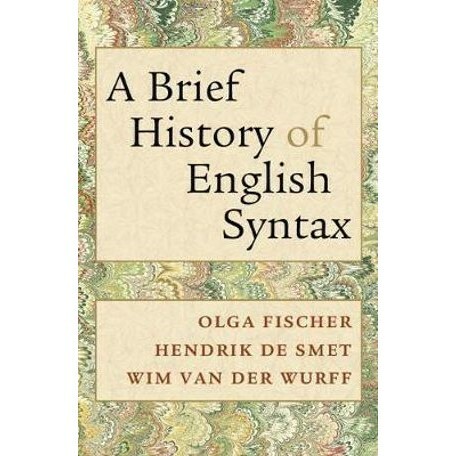 The book is intended for students who have been introduced to the history of English and want to deepen their understanding of major grammatical changes, and for linguists in general with a historical interest. It will also be of value to literary scholars professionally engaged with older texts.